PLATINUM SPONSOR – For more than 80 years, Rohde & Schwarz has stood for quality, precision and innovation in all fields of wireless communications. The privately owned company is strategically based on four pillars: test and measurement, broadcasting, secure communications, radiomonitoring and radiolocation. The electronics group, headquartered in Munich (Germany), has a global presence and is among the world market leaders in all of its business fields. GOLD SPONSOR – AR Competitive Edge products supply a multitude of unique RF solutions to companies around the world. Our limitless support and service network reaches the far corners of the globe. When companies purchase from any AR company they have the peace of mind that comes from knowing that we will be there to provide cost effective solutions and help with any problems that may arise today, tomorrow or in the future. 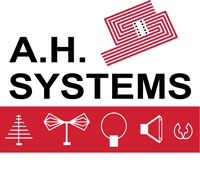 SILVER SPONSOR – Keysight Technologies (NYSE:KEYS) is a global electronic measurement technology and market leader helping to transform its customers’ measurement experience through innovations in wireless, modular, and software solutions. Keysight’s electronic measurement instruments, systems, software and services are used in the design, development, manufacture, installation, deployment and operation of electronic equipment. We’re more than a canted coil spring manufacturer. By applying our unique Bal Spring™ canted coil spring technology and material science expertise, we provide OEMs and tier suppliers everywhere with innovative, custom-engineered sealing, connecting, conducting and EMI shielding and grounding solutions. CST develops and markets high performance software for the simulation of electromagnetic fields in all frequency bands. Its success is based on the implementation of leading edge technology in a user-friendly interface. CST’s customers are market leaders in industries as diverse as Telecommunications, Defense, Automotive, Electronics, and Medical Equipment. Today CST employs 260 sales, development, and support personnel, and enjoys a leading position in the high frequency 3D EM simulation market. Since Martin Lutz founded EMC PARTNER AG in 1994 with a small team of engineers, the company has grown to be one of the leading players in the design and manufacture of conducted immunity test instruments. Innovation has always been key to the growth and success of EMC PARTNER AG. This is clearly illustrated through the TRA family of compact immunity testers. TRA1000 was the first of its kind, offering an affordable solution to the new CE marking requirements. This was swiftly followed by the ESD3000, for the first time offering 30kV impulses using battery power. 20 years later it is still the only tester of its kind. When you choose Fotofab you know you are getting the best metal etching in the industry. Our chemical etching process is ideal for producing rapid prototype parts and a wide variety of photo etched parts. Acid etching and photo etching provide tight tolerances, a quick turnaround and offer an affordability that other machining processes simply can’t match. Through chemical etching and metal stamping we produce typical applications such as RF/EMI shields, screens, contacts, connector housings, lead frames, apertures and many more. What can we make for you? IFI is actively involved in the design and manufacture of Solid State and TWT (Traveling Wave Tube) Amplifiers (both pulsed and CW). The company continues with development of its low, medium and high Power Amplifiers to offer the broadest range of Amplifiers manufactured by any company in the world! IFI amplifiers are used successfully in applications all over the world and is the leading supplier of high power transmitters both solid state and TWT. Our standard Amplifier line cover the 10 KHz – 40 GHz frequency bands with CW power outputs from 1 watt to kilowatts and standard pulsed amps to 8 kilowatts peak with higher pulsed power to 50+ kilowatts on special amplifier order. Amplifiers are offered as broad band laboratory units or as part of EW and ECM test, simulator or communications systems.